In spite of having met around the time of Grant Morrison's Action Comics run, Batman/Superman #1, featuring the first encounter between DC's iconic headliners, features Superman in his full Kryptonian "armor" look. 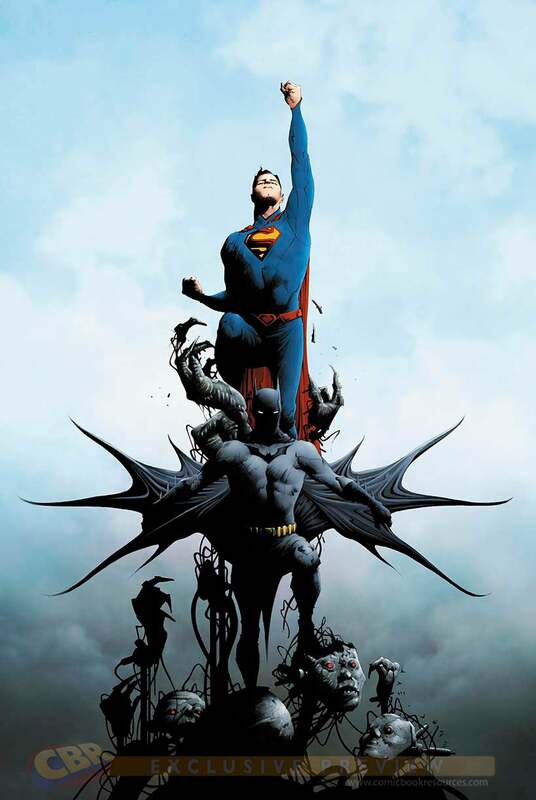 At left you can see Jae Lee's cover, which has officially been released along with the rest of DC's Superman group solicitations over at CBR, revealing our first glimpse at the forthcoming series written by Planet Hulk author Greg Pak. No real details are present in the solicitation text for the new team-up book, saying only "A new epic begins with the debut of this new, ongoing series! Don’t miss the first fateful meeting of Batman and Superman in The New 52!". The series launched at the $3.99 price point (a dollar more if you want digital), DC's first standard-length New 52 launch at that price point without a solicited backup feature.